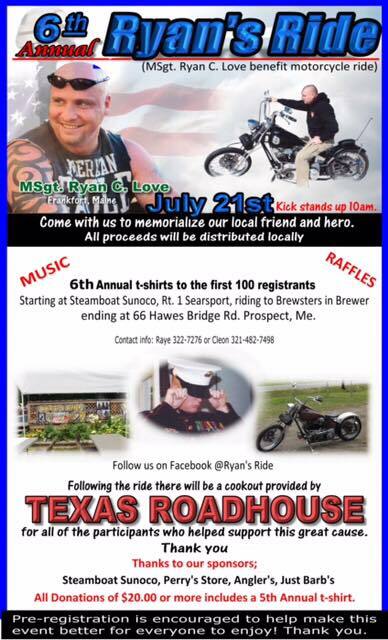 The 6th annual Ryan’s Ride Honoring Fallen Marine MSgt Ryan C Love will be July 21st Steamboat US 1 Searsport. 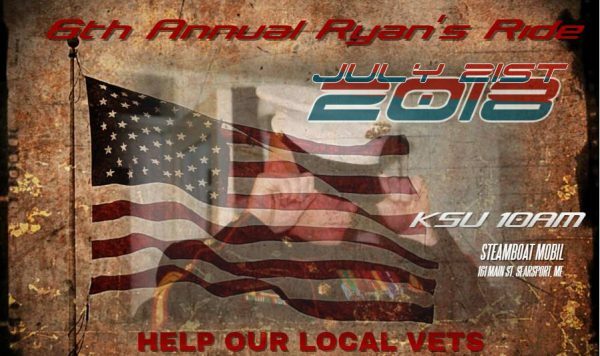 Kickstands up at 10. Food and fun to follow.